Nokia is of course a familiar name to our readers, but the phones branded “Nokia” today are actually the product of HMD Global who work with Nokia to design and produce phones. The bulk of their output is a series of rather well-regarded and inexpensive Android smartphones along with a range of cheap feature phones. A year ago they caused a stir by launching a reimagined version of the classic Nokia 3310, and this year they are doing it again with a remake of the Nokia 8110. We’ve covered the Nokia 8110 on Retromobe before, launched in 1996 it gained the somewhat cruel nickname “Banana Phone”, but it was made famous and rather cool when it appeared in The Matrix. The key feature was the slide-down cover which contained a microphone. This protected the keypad when not in use, and it was meant to make the user’s voice carry better. 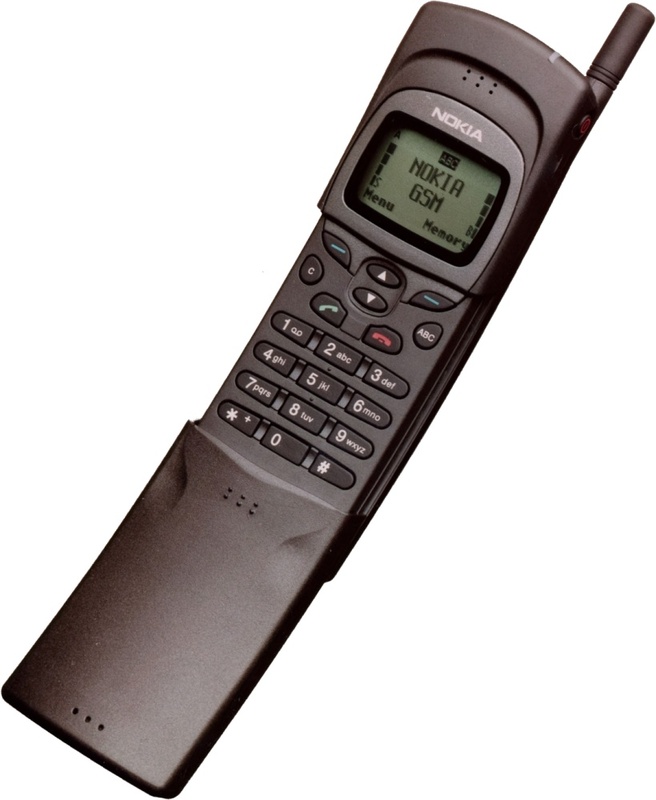 Nobody had made a phone like this, and it was certainly different from the brick-like handsets of the time. There wasn’t much else going on – it had a small monochrome graphical display, supported GSM voice calls and apart from a neat little desk mount that really was about it. Fast forward 22 years and the Banana Phone is back, and this time it is actually available in bright yellow as well as a more sober black colour. The new 8110 isn’t a smartphone, but can be considered as an advanced feature phone that is rather interesting under the hood. The new 8110 looks quite contemporary, taking Nokia’s current styling cues from the rest of the range. On the top is a 2.4” QVGA TFT display which is a pretty familiar feature for this type of device. There’s a 2 megapixel camera with geotagging and a flash on the back and a secondary one for video calling. Inside Is 4GB of storage plus a microSD slot, and there’s a media player and FM radio. So far, so much like any other feature phone. But here is where it is unexpected – the 8110 is a 4G LTE device as well as having 3.5G HSPA and 2G support. On top of that the 8110 has WiFi and GPS, and you can use it as a mobile hotspot. The processor is no slouch either, with a dual core 1.1GHz CPU couple with 512MB of RAM which is plenty. The 8110 takes a microSD card and is available in single SIM and dual SIM configurations. The surprises go on. Unlike most of the current crop of Nokia feature phones, the 8110 ditches the Series 30+ OS and instead uses on operating system called KaiOS. KaiOS is derived from the defunct Firefox OS, and it represents a lightweight and somewhat extensible operating system that makes this feature phone just a little bit smarter. An application store allows access to apps for Google Maps, Facebook and Twitter and the 8110 also syncs with major email systems. Due to hit the shops in April, the 8110 may end up a hit in the same way that the 3310 did, showing that there is some appetite for these practical and rather knowingly retro devices. If you are after an ORIGINAL 8110, then prices are quite healthy at around €150 for unlocked versions in good condition, about twice that of the “new” one. Why not treat yourself to both?